Chase came into the kitchen while I was working on dinner. I had planned on making a hearty stew, but put that on the back burner (literally and figuratively) as he requested a pair of scissors so that he could make his book. 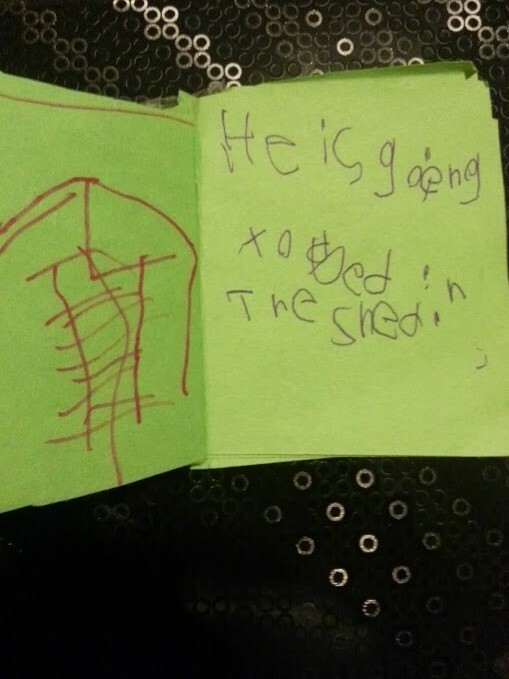 He had drawn six pictures in a specific order with “The End” as his only words. He cut them up and together we made his little book. I then asked him to tell me the story. He obliged. 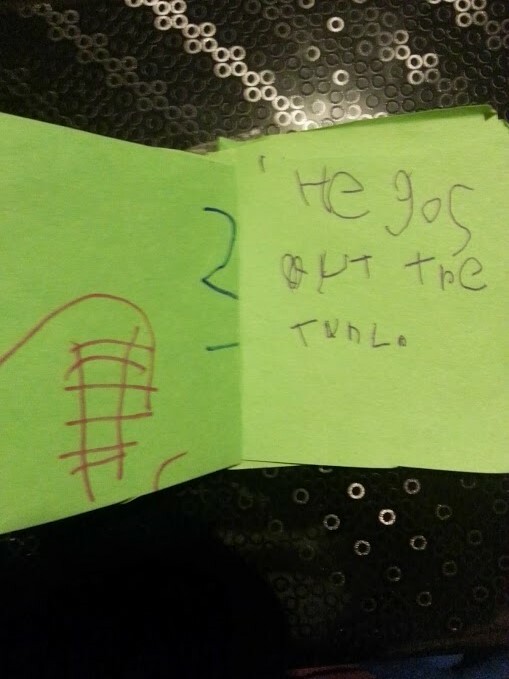 I then had him retell me the story, this time I handed him a pen and had him write the words. Oh, I can’t tell you the last time I have seen my boy light up so brightly!!!! 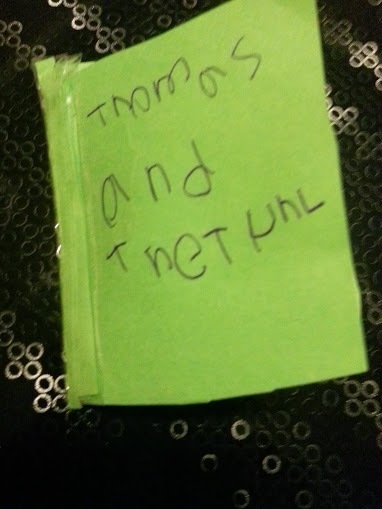 Thomas and the Tunnel – Chase helped me come up with the title and then asked me to help him spell Thomas. He did tunnel on his own. He originally wrote sees as ses, then edited himself. I felt so proud of him. It is obvious that he is starting to write correctly his high frequency words. I watched him as he stood thinking about the work “out” I could see the gears working hard. I stuck my tongue out at him and grabbed it as I said “ou”. 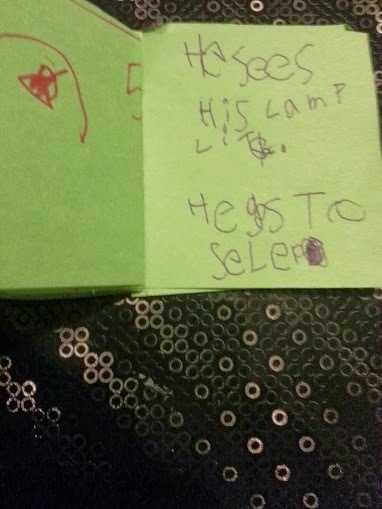 The lightbulb went off and he wrote the word correctly. He utilized a strategy he had learned at school, I am so glad that he has shown it to me, because I would never have come up with something like that! He began to write going incorrectly and I took a moment to remind him of the suffix -ing. He lit up and edited his work. I love that he incorporated rhyme in his story, although it was not done on purpose on his part. After we finished I looked at the clock. We had spent an entire hour working on reading and writing skills. I replaced the stew with grilled cheese sandwiches, had Chase get one of our wrapped books, and then sent Chase and Emma to bed. It was time, but more importantly I wanted to see what stage of spelling development he was at. 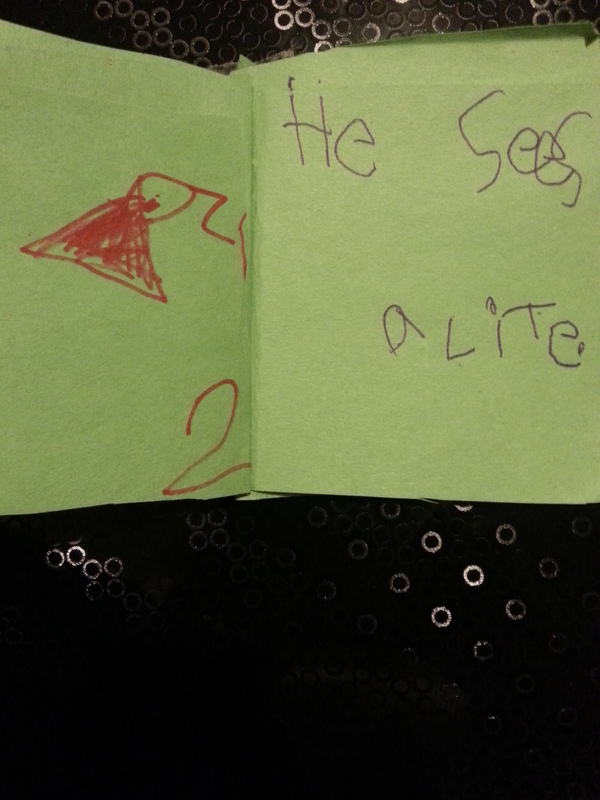 His teachers are fantastic, but they don’t tell me much about the specifics of his reading and writing. I’m fine with that. I like to see where he is at in a different environments, anyways. I have a great book gracing the shelves of my Beech Alder bookcase, Literacy for the 21st Century: A Balanced Approach by Gail E. Tompkins. That is my go to book when I want to brush up on my literacy strategies. Tonight I had reason to pull it out, dust it off, and put it into practice. Gail E. Tompkins describes how children “crack the alphabetic code” as they develop the ability to understand phonemic awareness – the ability to know that words are made up of sounds, phonics – putting the sounds into letters that they recognize then blend them into words, and spelling – as they begin to learn the “sound-symbol correspondences and spelling patterns, and they can use spelling strategies to spell unfamiliar words” (pg. 146). There are five stages to spelling development – emergent, letter name-alphabetic, within-word pattern, syllables and affixes, and derivational relations. Emergent spellers – My four year old daughter is in this stage. She wrote me a “message” the other day which included all the letters in her repertoire. She knows the letters in her name, yet when she writes her name the letters are mostly all over the page. She can tell the difference between letters and numbers and will only write letters in her messages. I love that she knows the difference between shapes, letters, and numbers. The other day I sat down with her and did a small assessment to see which letters she knew and was stunned – she knows 12 letters just through observation and the letter chart that we go over every once in a while. 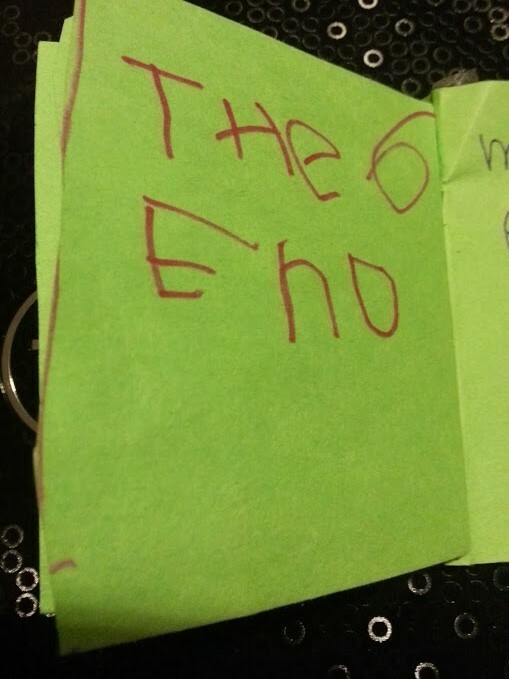 She also knows some letter-sounds, she even helped spell “dad” on her gift to her father. Too cute!!! We need to work on writing in the correct direction but she is well on her way to being prepared for Kindergarten and the rigors of Common Core. Letter Name-Alphabetic Spellers – My son Chase is definitely in this stage. He is developing the next two stages, but it is obvious that he is more entrenched in this stage. He knows that the sounds in words are represented by letters written in a particular order. He is definitely towards the end of this stage in that he is starting to use consonant blends, digraphs and writing with short vowel sounds. Within-work Pattern spellers – Chase has begun to work in this stage as well. He is becoming comfortable writing one syllable words, and high frequency words. 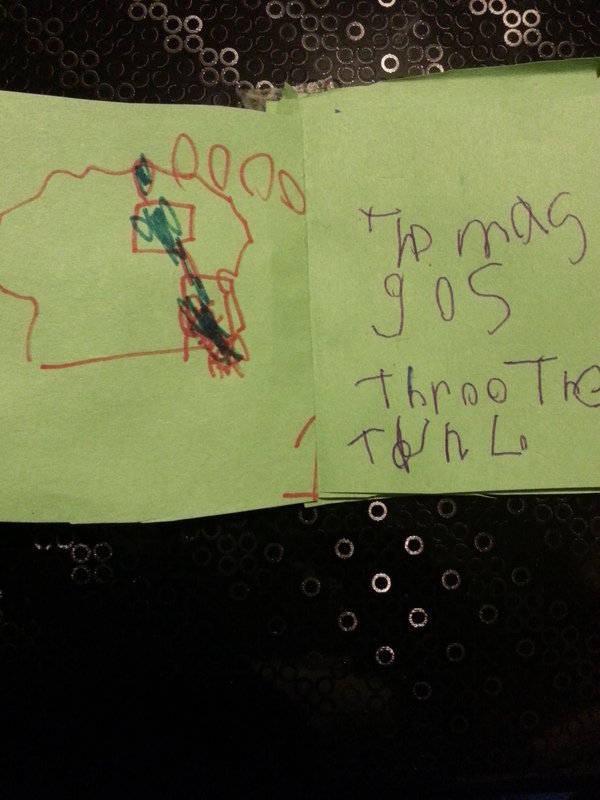 He is beginning to understand how long-vowels work, but is not cognoscente of the more complex patterns and exceptions. As he learns more spelling strategies he will begin to recognize and practice long-vowel spelling patterns, r-controlled vowels, complex consonant patterns, more complex vowel patterns, and diphthongs. Syllables and Affixes spellers – Chase is NO WHERE NEAR this stage, however he is experimenting with inflectional endings (a group of letters added at the end of words to change their meaning such as -s, -es, -ed, and -ing). My oldest son Dee is well entrenched in this stage. He works hard to spell multisyllabic words, he is learning about inflectional endings and the rules for adding these endings. He understands homophones and how compound words work. Derivational Relations spellers – While my children are not yet to this stage, this is my favorite stage. I love the etymology (history and evolution) of words. In college I played an etymology card game once which I excelled at. I wish I had taken note as to the name, because I can’t find it. Anyone know of a good one I would love to find one. Part of this stage is also learning Greek and Latin root words. It totally helps to break down unfamiliar words when you know the meanings of root words and affixes! When I taught seniors I felt giddy as I handed out grammar and spelling packets – because I was learning right along side them. My students, on the other hand, groaned and questioned the real life application of learning consonant and vowel alternations. I can always hope that ten years down the road they will unknowingly utilize the lessons that I worked arduously to prepare. Why did I look up the stages? I wanted to know what stage Chase fell into so that I might find different activities that might aide in increasing his reading and writing. We are working on creating a sensory appropriate bedroom for him and one suggestion that I have next on our agenda is a “Bravo” wall which will include some of his art work, school work, and a word/phrase wall. Friday begins Winter break. I can’t wait to give him some holiday words and have him make words using the letters. Word sorts – This is one that he really can benefit from, since he struggles with expressive and receptive language disorder. I love the internet and coming across different ideas. Pinterest has become one of my best friends, and I giggled in excitement when I found these 75 spelling activities. I have used several of the concepts when I was teaching Chase the alphabet. Now I can move it one step further. I have tears in my eyes! This is awesome! Wow, this is awesome, I really struggled with spelling as a kid and I see my girl has the same problems as I had. I wish I could do more to help her but I feel so overwhelmed by the enormity of the task, on top of everything else that is going on.